Photo - Willem Kotze Collection. 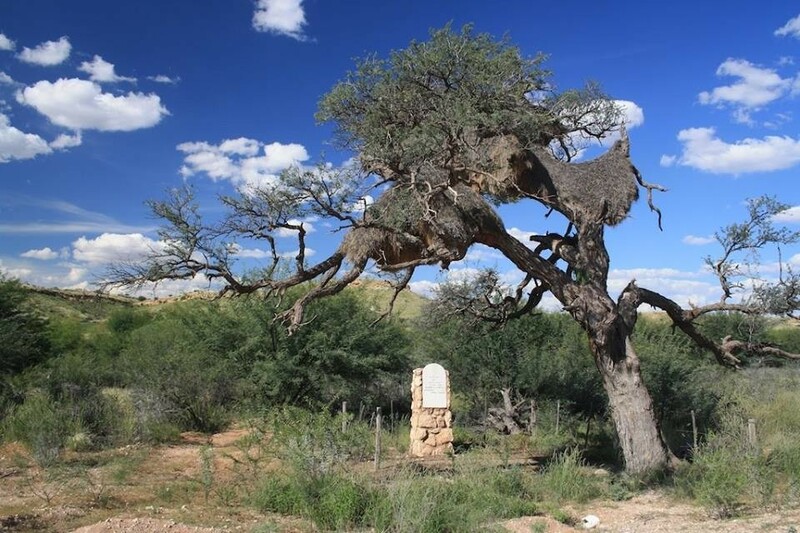 Under an old Camelthorn tree on the bank of the Auob River near Gochas is this German War Memorial reflecting the Skirmish of Haruchas between the Germans and the Witbooi Nama on 03.01.1905. 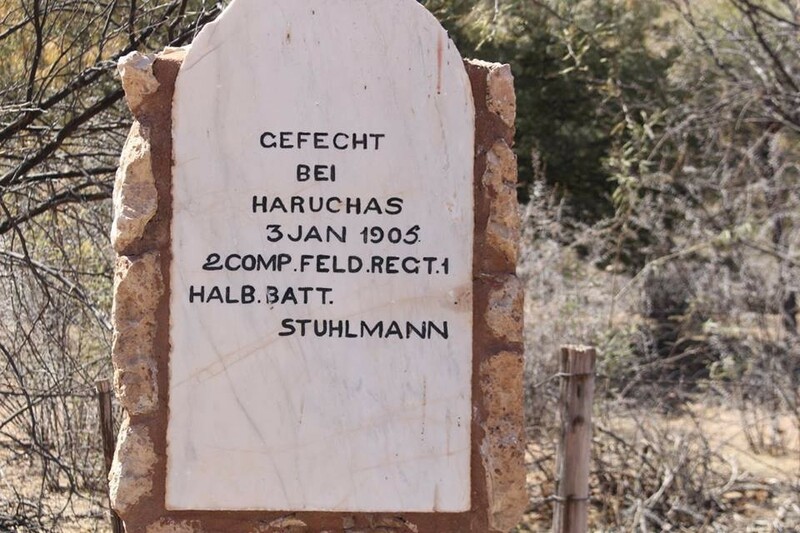 This skirmish resulted in losses for the Germans (four dead and 14 wounded) and took place at Haruchas. Casualties on the Witbooi Nama side are unknown. The two German detachments involved were commanded by Lieutenant Stuhlmann and Lieutenant Graf Stosch. Source Dr. Klaus Dierks Timeline and WF Kotzé.